SOCKET SET FOR BOSCH VE FUEL INJECTION PUMP DIESEL 5 PIECE.ZR-36BDIPSK01-ZIMBER.Drive Socket Set For Bosch Fuel Injection Pumps-BGS.Bosch, Denso, Zexel Diesel VE Type Injection Pump Socket Kit-SMANN.Fuel Injection Pump Socket wrench For VAG Bosch TDI-BGS. 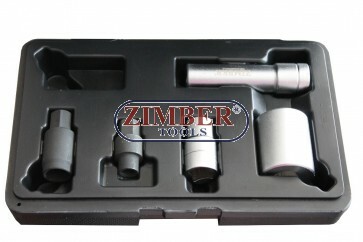 SOCKET SET FOR BOSCH VE FUEL INJECTION PUMP DIESEL 5 PIECE, ZR-36BDIPSK01 - ZIMBER TOOLS. 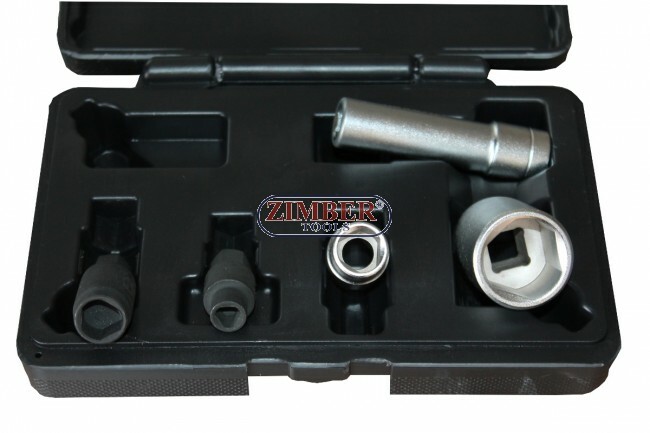 5 Piece 1/2" drive socket set for Bosch pumps. 1. 7MM - EDC pump cover socket from 1996 to 2003. 2. 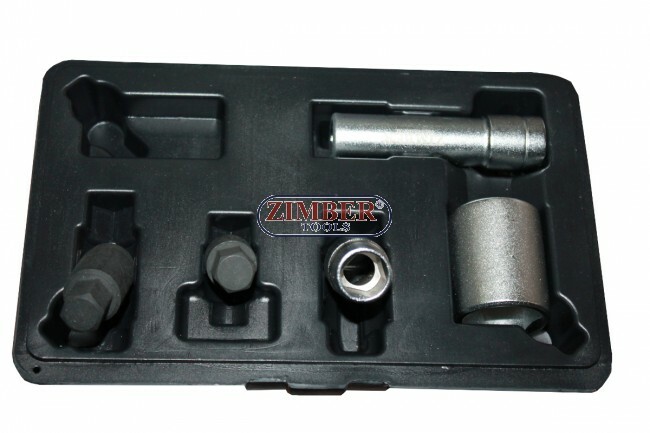 12.6MM - Bosch VE Diesel pump socket used on VAG systems Bosch Distributor injection pumps each with 1/2" square drive. 4. Triangular not to loosen cover from the dial gauge. 5. Two lock nuts for the pressure control valve to VP37 pumps. & 15 mm outside 6-pt. 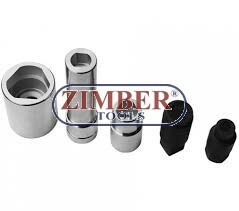 Drive Socket Set For Bosch Fuel Injection Pum 5pcs - ZR-36ICS01 - ZIMBER TOOLS.